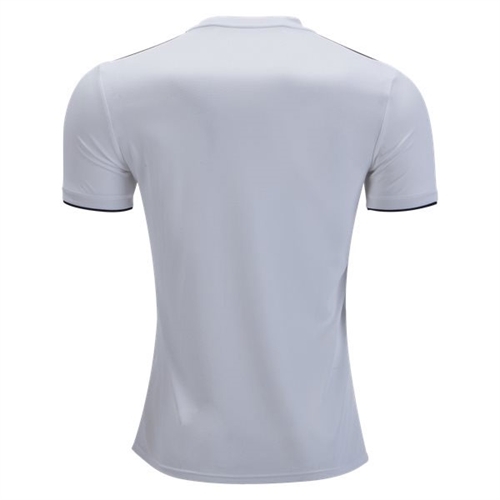 3 black stripes run horizontally across the jersey's shoulders, with black trim on the cuffs. Embroidered adidas logo and Real Madrid crest on the chest. ClimaCool Technology. Our adidas Real Madrid Home Jersey 2018-2019 features breathable climacool® ventilation and the team badge on the chest. 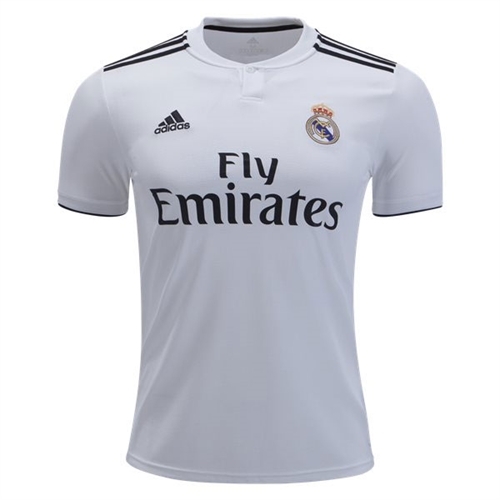 When los Blancos move into their opponents' territory on the home pitch, they wear a version of this men's football jersey.